We are an online platform for the farmers which help farmers grow their business and livelihood. We have taken initiative to create a better environment in urban area which are mostly suffering from pollution and lacking better living conditions. 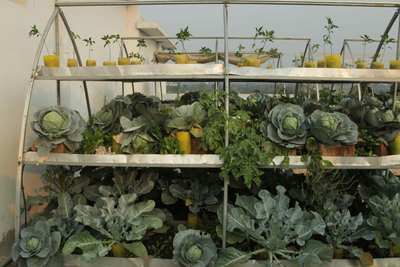 Our aim is to help urban population to have healthy organic vegetables which they can grow in their rooftop by using our simple and cost effective solutions. 1. XeFarm will setup and teach you to do Organic Farming on your Rooftop. 2. Grow and eat Organic Vegetables from your Rooftop and Garden. 3. Easy way to stay away from Pesticides and many Harmful Chemicals. 4. Rooftop Farming potentially contributes to a decrease in Biodegradable Waste.